Delta Electricity claim that there is no evidence of leaching from the Vales Point Ash Dam (VPAD) into the groundwater table. 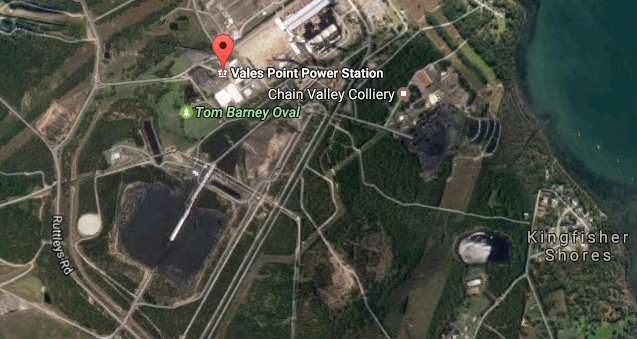 According to Delta Electricity’s statement regarding the operation of Vales Point Ash Dam (VPAD): “The VPAD has existed since the construction of the original Vales Point “A” power station in the 1960s. “Ash is a relatively inert by-product of the combustion process that can be beneficially reused in cement products, building and construction materials, road base, landscaping applications and as an additive to soil to improve soil strength,” the statement said. “Delta actively seeks opportunities to recycle ash, is a member of the Australian Ash Development Association, and has worked with several university research groups to investigate new cementitious material applications,” it said. “Delta operates Vales Point Power Station and the Ash Dam under the conditions of an Environmental Protection Licence which is regulated by the NSW Environmental Protection Authority (NSW EPA). “Conditions in the licence ensure that all air and water discharges are monitored regularly, including monitoring of surface and groundwater quality in the vicinity of the ash dam. “There was additional groundwater sampling conducted as due diligence for the recent sale. “There is no evidence of leaching from the VPAD into the groundwater table. “Under the Vales Point sale arrangements completed in December, 2015, Delta remains responsible for the operation of the ash dam, which includes an obligation to continue rehabilitation arrangements that existed prior to the sale. “At the conclusion of the operation of the power station, the power station will be decommissioned and the lands will be returned to NSW Government ownership. “Delta continues to work with local community groups and Councils to achieve good environmental outcomes for Lake Macquarie and is an active member of the Lake Macquarie Estuary Management Committee. “Delta has a longstanding Community and Regional Environment Forum that meets with community groups quarterly. “This allows for open interaction, and the group completed a tour of the ash dam facility as recently as its May 2016 meeting. “Delta takes its environmental compliance obligations very seriously.